Mr. AK Abdulla, a leader and strategist, with over fifteen years of experience with various product engineering service companies based out of India, Japan, USA, Israel and Malaysia. He has worked in various functional areas of software engineering, including that of a software programmer, team lead, project lead, project manager, business lead and practice head. Abdulla's professional experience is predominantly in Semiconductor equipment manufacturing segment. He has worked with Tokyo Electron (TEL) and KLA-Tencor and was a member of the expert group for the implementation of Semiconductor factory automation standards (SECS GEM300). He emerged as a beacon of knowledge for implementation of equipment software which interfaces the equipment to Semicon fabrication. In Accel he pioneered the CoE (Centre of Excellence ) for mobility and embedded systems. Prior to Accel, he worked as a business head for FLCL (Full Life Cycle Lead) for the Semiconductor software delivery unit. He streamlined and integrated customer facing unit (vertical) and delivery unit (horizontal) to enable smooth, productive and faster operational Excellence. 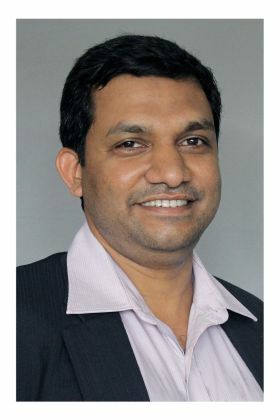 In FLCL, he emerged as a champion in delivery, programme management, business reporting to senior management, achieving business targets of the Full Life Cycle Business (FLCB), customer handling, resolving conflicts, proposal generation for new enquiries, billing, customer retention and mentoring. Abdulla served as the head of embedded software development business unit before co-founding Alcodex. Abdulla has a B.Tech in Computer Science and Engineering from Mar Athanasius College of Engineering (Affiliated to MG University), Kothamangalam, Kerala, India and M-Tech Computer Science in Embedded System from Cochin University of Science &Technology, Kerala, India. He also has Management Excellence Program degree from Duke University, USA.